Simple and sparklingly elegant! 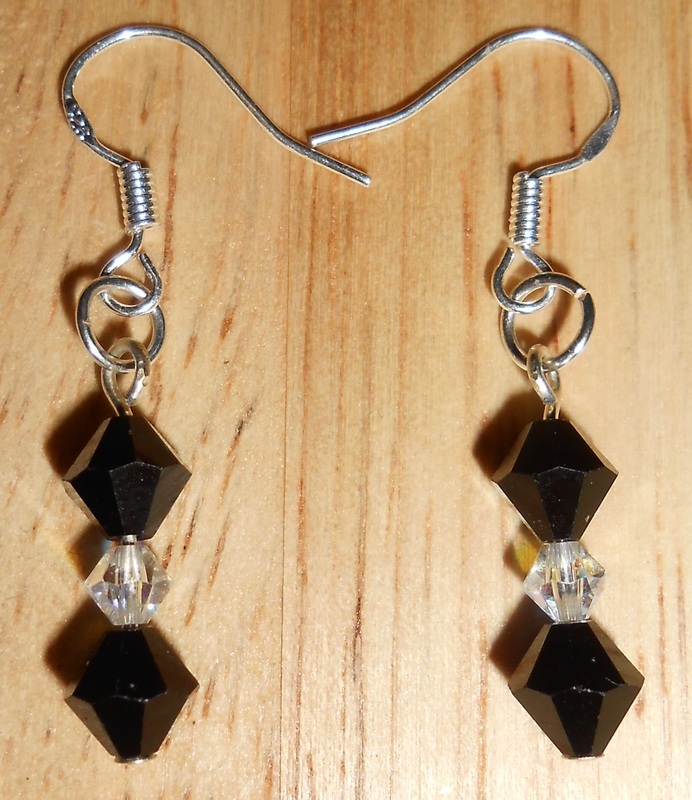 Jet and Crystal AB Swarovski Crystals are just lovely with Sterling Silver fishhook Earwires. 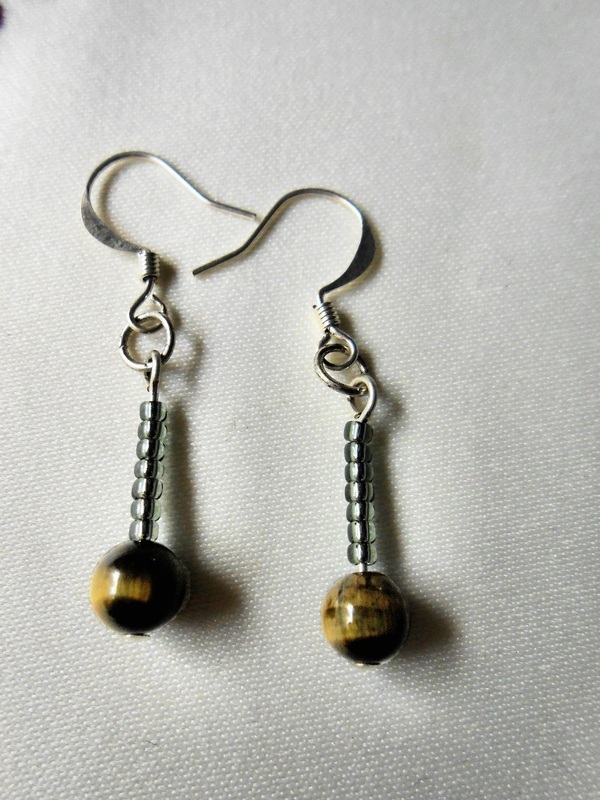 Each pair of earrings comes with a set of rubber Earnuts to secure your new treasures. 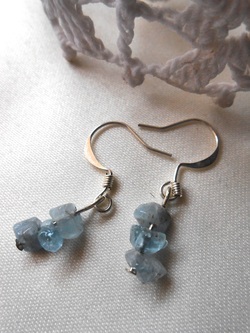 Aquamarine chips provide a little splash of the sea, and fishhook Earwires are Silver-plate over surgical steel. These earrings are a little mysterious with dark Seed Beads setting off the Eagle Eye* Stone Beads. 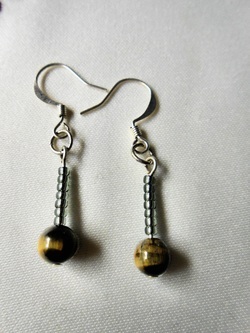 Fishhook Earrings are Silver-plate over surgical steel. *Features moving bands of color much like tiger eye. 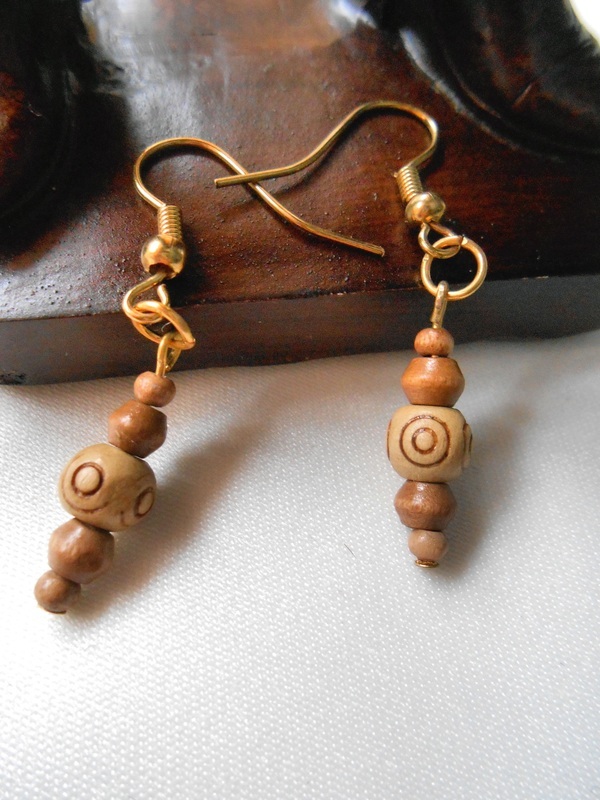 These earrings will take you to simpler and more natural time. Round Wooden Beads in three sizes, the middle bead featuring little darker color circles, with Gold-color fishhook Earwires. This necklace is simply dripping with semi-precious stone beads, Peridot Chips and Peridot rounds are complimented with bold but elegant Jet Swarovski Crystals. Gold-plated decorative Toggle Clasp. A new take on an old Native American idea these earrings feature Silver-plated metal cones and Indicolite Swarovski Crystals. Fishhook Earwires are Silver-plate over surgical steel. 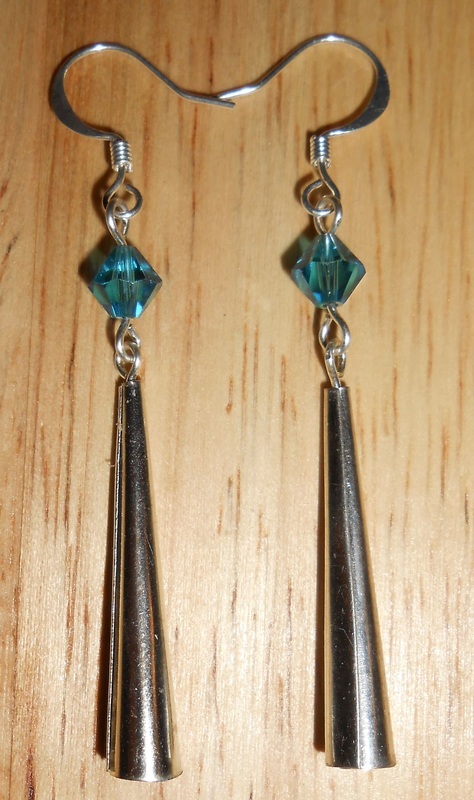 Indicolite Cones is also available with Sterling silver earwires for those with sensitive ears. The silver-color Tube Beads are reminiscent of ancient columns and the Capri Blue ABX2 Swarovski Crystals lend a modern sparkle. Fishhook Earwires are Silver-plate over surgical steel. 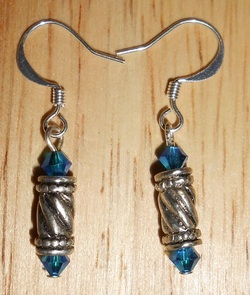 Columns Of Capri is also available with Sterling silver earwires for those with sensitive ears. 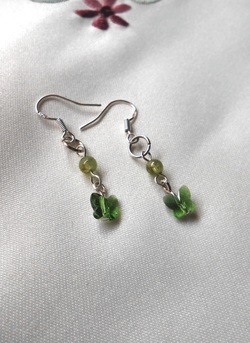 Peridot rounds and Swarovski Crystal sparkle and flutter with fishhook Earwires that are .925 Sterling Silver. These earrings are all about sparkling elegance. 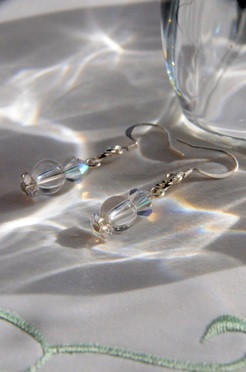 Crystal AB Swarovski Crystals add flash and fire to the Quartz Crystal stone rounds and the Shadow Crystal Swarovski Crystal marguerite give it the finishing touch. Silver-plate over surgical steel fishhook Earwires. 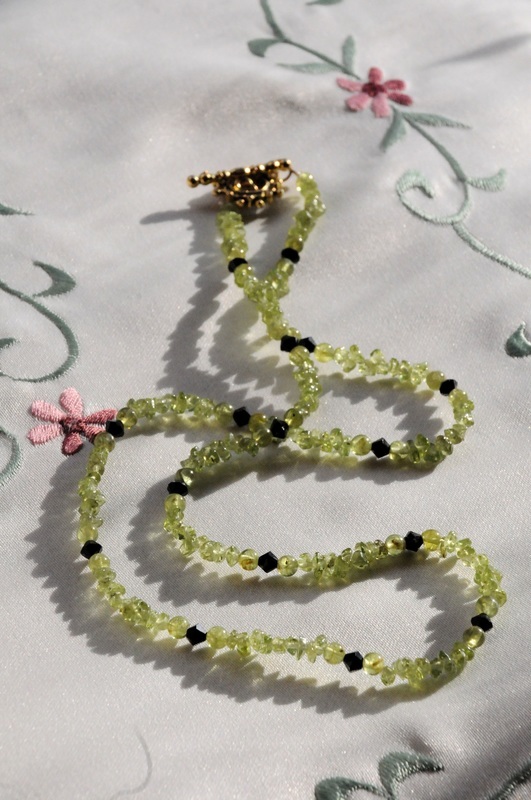 This bracelet has something just a little extra special. 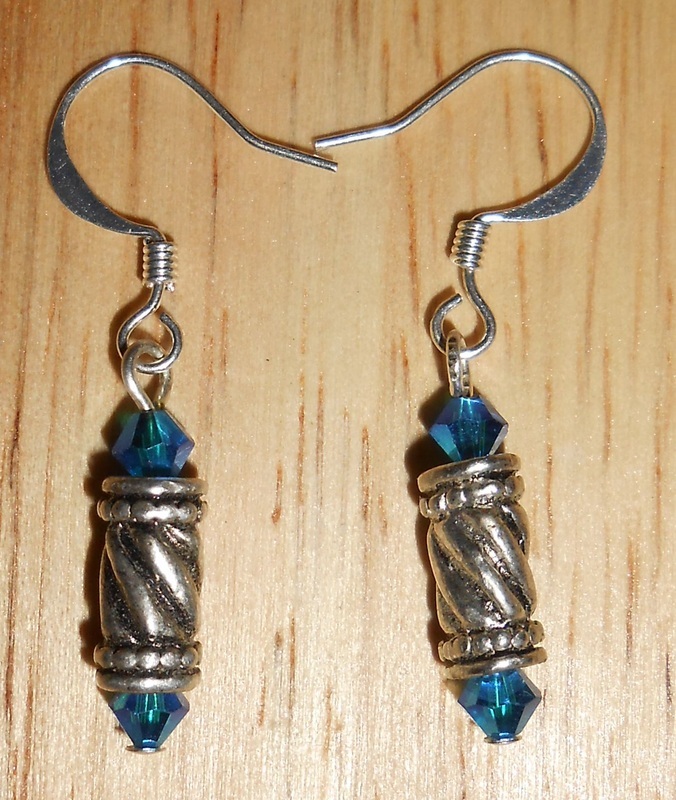 Angelite stone rounds, Silver Plated rounds, Capri Blue Swarovski Crystals, and Freshwater Pearls are set off by the simple Silver Plated Toggle Clasp that is easy maneuver. This bracelet is all about the magic of nature's pairing of red and green. Dragon's Blood Jasper stone rounds, Garnet gemstones in round and coin shapes, with Olivine Swarovski Crystals and Silver plate rounds adding a flash and sparkle to these earthy colors. Silver plated toggle clasp for ease in maneuvering. 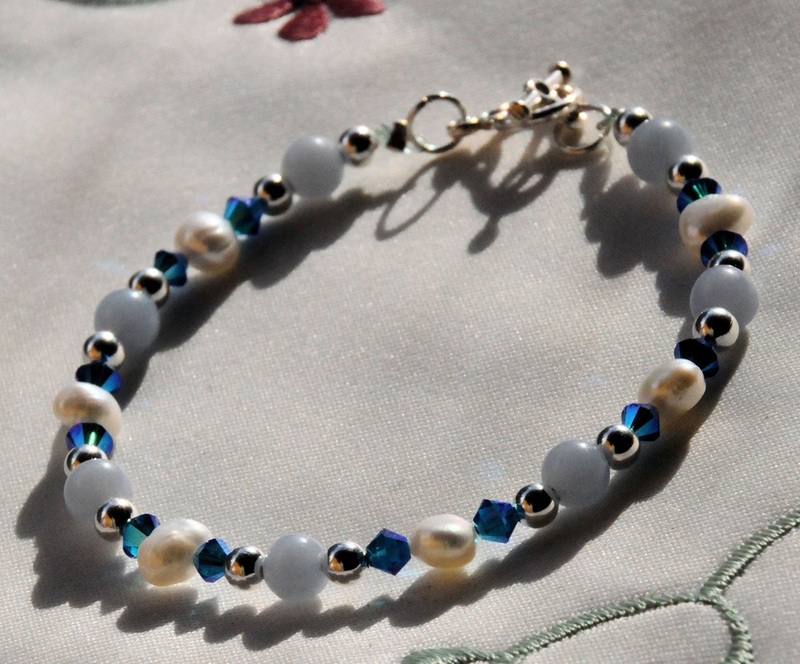 Bracelet measures 8¼ inches including clasp. Stands etc. not included unless otherwise noted in description.